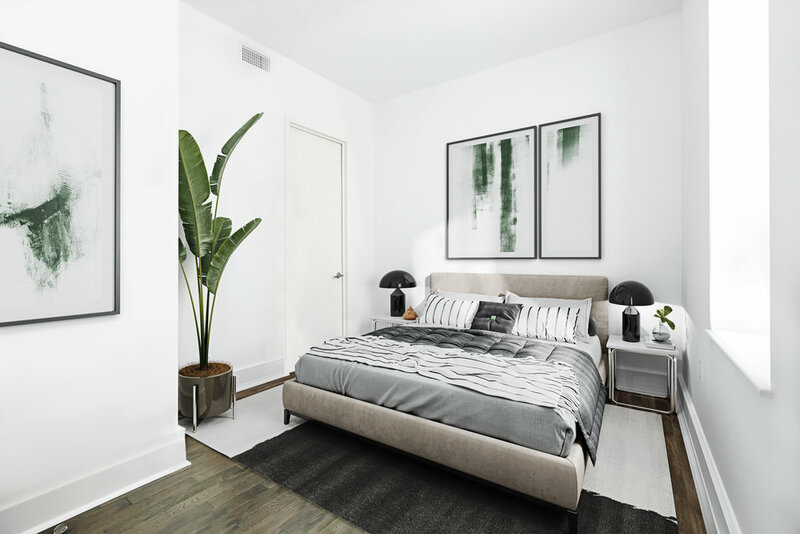 This modern and stylish one bedroom home features luxury condo finishes, central air-conditioning and an integrated chef’s kitchen, in a boutique full-service building with a sprawling fully-landscaped roof deck. Filled with natural light and extremely quiet. Stained white oak flooring and 9-foot ceilings compliment the home’s contemporary style. 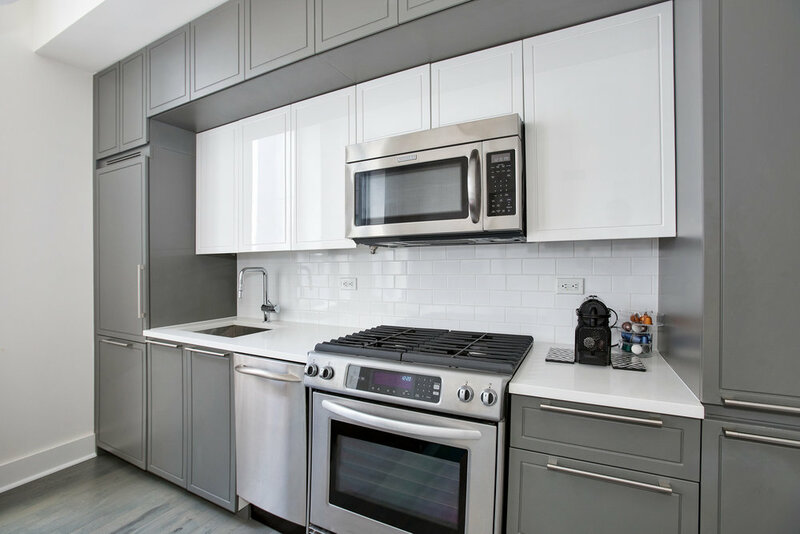 Three large closets offer plenty of storage space, and an eat-in kitchen with full size 4-burner oven and beautiful Caesarstone countertops will please serious cooks and Seamless users alike. 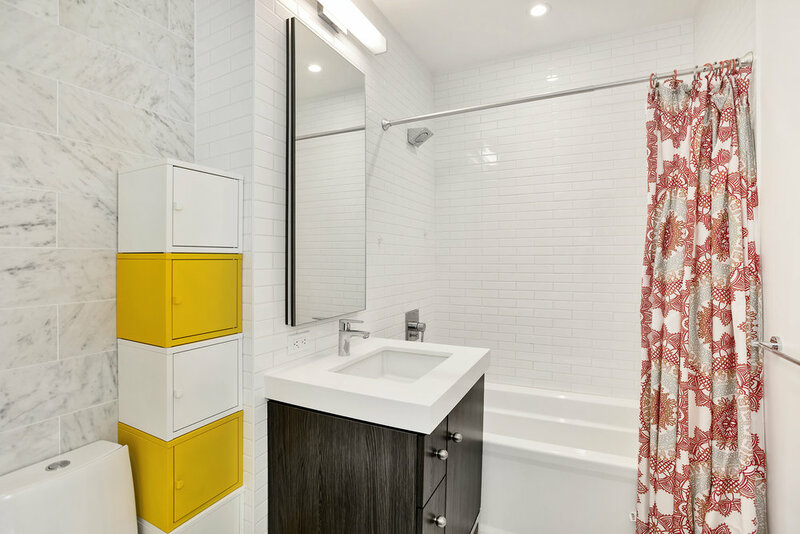 The modern bathroom features premium Kohler and Toto fixtures, a walk-in glass shower and radiant heat flooring. Oversized energy-efficient windows and an in-unit washer-dryer provide the ultimate in comfort and convenience. Building amenities include full-time doorman, a state-of-the-art fitness center, yoga room, resident’s lounge, bicycle room, business center, cold storage and temperature controlled wine cellar. The buildings staff is wonderful and you are within walking distance of Central Park, Times Square and almost every major subway line. 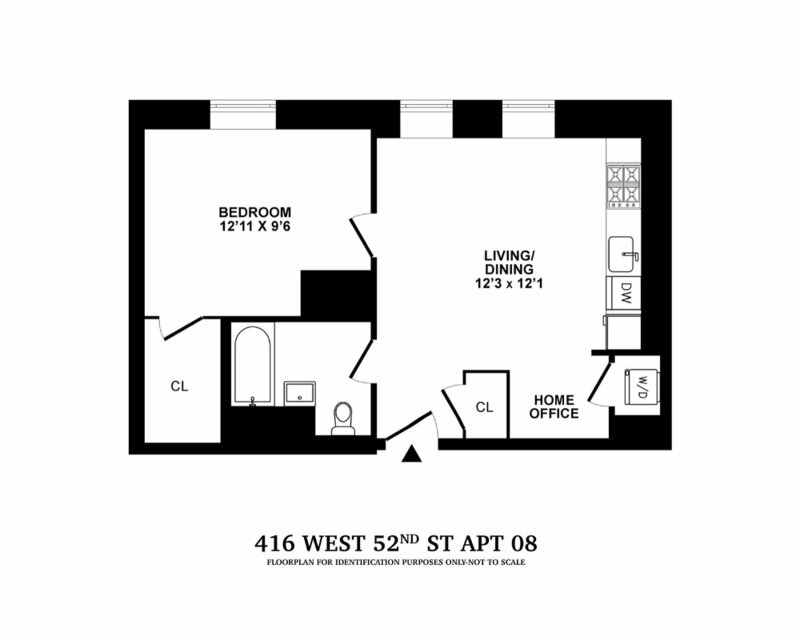 416 W. 52nd is located on a wonderful tree-lined block in the exciting Hell’s Kitchen neighborhood.